We never expected to receive hundreds of inquiries daily on how to process healthy homemade pickles. So here it is. Most European and American people especially in Italy and France know that only cucumber, lettuce, garlic, and some nuts, are made into pickles that is also used in sandwiches. Yes, we know that they are also very delicious, nutritious, and healthy because of the fermentation process. Protein, potassium, iron, calcium, magnesium, vitamin E, B1, B2, B3, B6, vegetable fibers, bifidobacteria, lactic acid, and many more important minerals can be found in most pickles. Although it is not easy to make pickles, you will enjoy eating it every day. Sooner or later, you will be an expert making different variety of pickles on your table, and will love to share your pickle ideas with your neighbors and friends. OK, let's begin with a very simple “grated radish”, which is believed to have originated around the area of Mediterranean Sea during ancient times. We hear that people in Turkey and its neighboring countries drink radish juice with honey as health drink. Radish juice is good for treating common cold and flu, and is well known in folk medicine for ulcer treatment because it contains the enzyme “diastase” that aids in the digestion of starches. 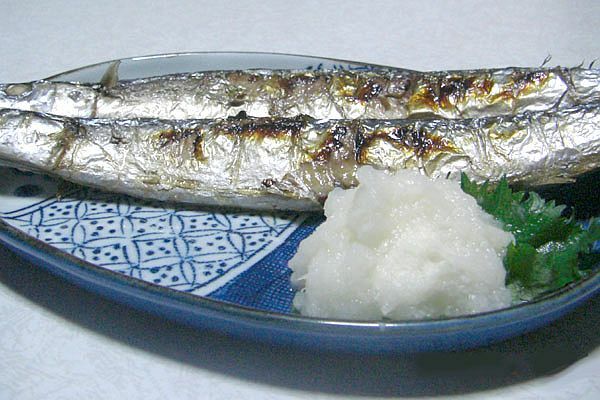 Grated radish is also effective in treating heartburn. 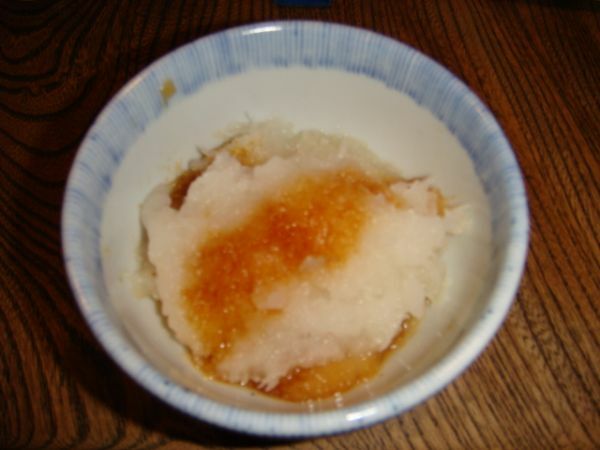 Grated radish is not fermented or preserved but just a raw grinded radish. It's full of vitamin C and has various good effects to our health. 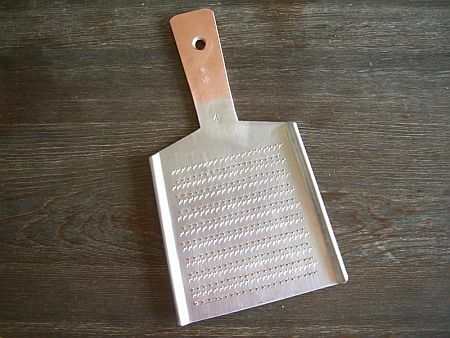 The photo below shows a lady filing radish with the grater. It maintains the healthy tissue of the skin. It makes the blood vessels healthy. It strengthens our immune system against bacterial infection such as mycobacterium tuberculosis, pyogenic bacteria, and shigella. It increases the supply of oxygen in the blood. It helps the body replace blood cells and tissues that are broken down. It reduces the probability of formation of blood clots. It helps keep levels of thyroid hormones in balance. It is a useful source of vitamin C, an essential ingredient in the formation of collagen, and helps in teeth and gum development. 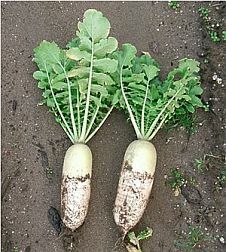 There are more to say that over-the-counter medicines cannot match to radish itself. 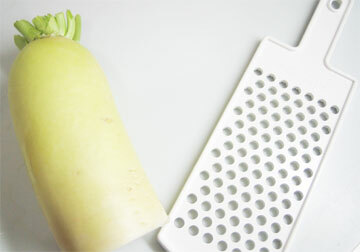 You may feel some bitterness when radish is grinded or grated. Many Japanese love to taste that bitterness. If you do not like such bitterness, just keep it for about six minutes or more, then, the bitterness will disappear. If you cook radish with heat, then, many medicinal nutrients will be lost. 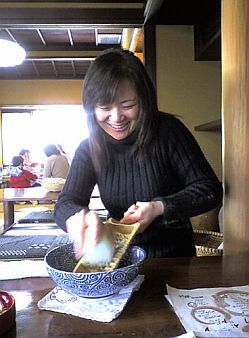 As you can see on these photos, we Japanese eat practically grated radish as dishes everyday throughout the year. Find your taste. You can invent and enjoy healthy foods. 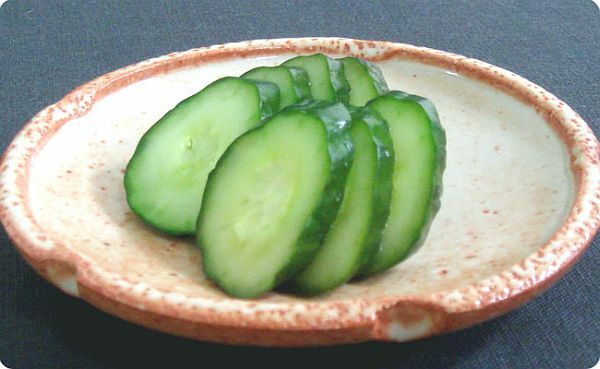 How about pickled cucumber with salt? It is so simple, yet it has a lot of nutritional value in it. Although cucumber is 95% water, it contains vitamin A, K, C, potassium, vegetable fibers, pantothenic acid (vitamin B5), folic acid, vitamin B9 known as pteroylglutamic acid, zinc, and magnesium. Just like radish, you can eat it raw. 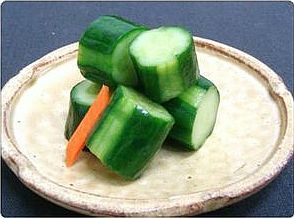 We are somewhat made to eat at least 350 grams of vegetables every day to keep our body healthy, and cucumber can be counted as one of the most suitable vegetables. The photos above are pickled cucumbers that can be made overnight, yet they are all delicious and full of nutrients. Old folks told us to place iron nails or any piece of iron materials to a clay or ceramic pot when we cook food, so if you add some iron nails together with vegetables, the pickles will help you on your iron deficiency problems. 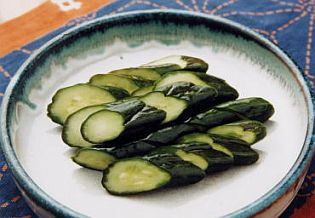 Wash the cucumbers well and slice it into desired size. Sprinkle some salt on it, and place it in a sealable poly bag. Be sure that most of the air in the poly bag is removed. Keep it in the refrigerator overnight. In the morning, you can eat it as a simple morning sandwich pickle. 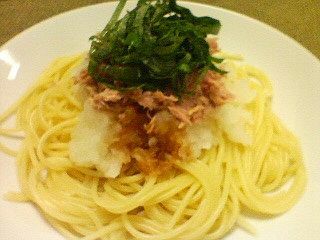 If it is too salty, you can wash it to reduce saltiness. If you like it to be little sweeter, you can add sugar or honey during preparation. Some people like it to be hot, so add red pepper or ginger like the photo above. If you prepare plenty of it, keep the poly bag in a ceramic, wood, or plastic container, and place 3–5 kilograms (7–11 pounds) of weight. 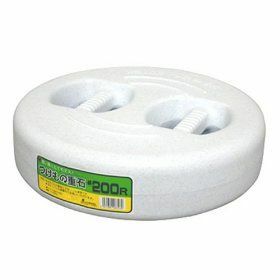 If you place weight on it, you can keep it at room temperature. 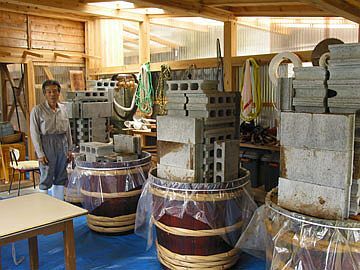 The photo above shows professional pickle makers using hollow blocks as weight on wooden barrels and keeping it for one or more years to have better taste. 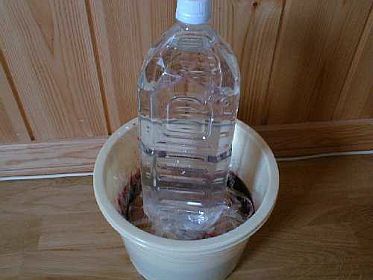 Did you know that you can keep the pickle for years if you place weight on it? You can do it the same way with cabbage, onion, carrot, radish, eggplant, lettuce, asparagus, young ginger, and many other vegetables. You can add garlic, ginger, pepper, sugar, honey, and other spices of your desire.